I dona��t love alcohol. I mean, sure, I like my three larges as much as the next guy. But Ia��m not alcohol powered. Ia��m not the guy who needs to slam a quarter at 7 am. Ia��m not the guy who needs to pour my daily wages into my liver… daily. And Ia��m certainly not the guy who ends up in kajurahoic positions on the pavement around closing time. That seems to be what people think of a guy who loves alcohol. Ia��m a lightweight. A guy who drinks mostly on weekends. A guy who likes to go into the nice balance of pubs that Chennai now has mostly for the live bands. Ia��m the guy who likes to take friends from out of town to a nice place for a meal… and a beer. And more relevantly, Ia��m a guy who likes to buy booze that I can drink, from a place I can set foot into. So, for me the new TASMAC outlet in Alsa Mall is a blessing from heaven. I mean, so what if they only have 18 varieties of Brandy with names that remind you of the a�?foreigna�� perfumes of the nineties? So what if the only Vodka that isna��t pink is named after the founder of modern Russian literature? So what if therea��s no dark rum? So what if the a�?swankya�� store resembles a dinghy red-shelved pawn brokera��s? So what if ita��s deep inside a mall that used to rock, but in the glorious private booze shop days pre 2003? So what! Ita��s a start. Ita��s a sign that the Rs 21,000 crore business has finally realised that not everyone who buys alcohol in Chennai ends up ruining their lives. Ita��s some acceptance of a social culture that requires normal people who like alcohol even less than me to be able to shop for what they want without being jostled, stepped on, cheated out of change, gaped at and even groped. Hopefully, the TASMAC will realise that decent liquor outlets, with customer friendly service and transparent pricing can be a good thing. Ita��s good for tourists. And business travellers. Ita��s good for the social drinkers. Ita��s good for the image of the state. And ita��s certainly good for the people who drive 350 kms just to buy name brands or even the classic Old Monk. So bottoms-up Chennai, there is hope. 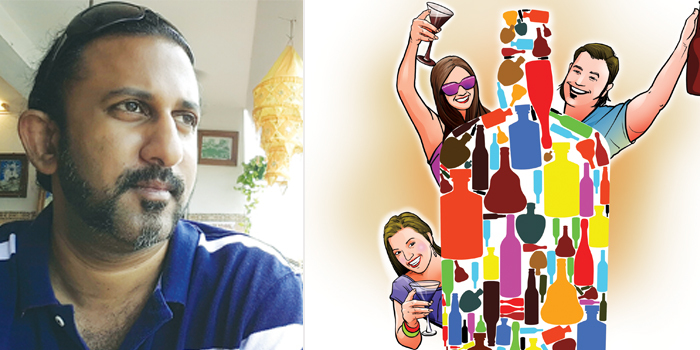 a�� Kishore Manohar ,A�brand consultant, is the founding partner of Incite and creator of the Facebook page ‘Man Vs Tasmac’ – a light hearted take on the woes of tipplers in Chennai.